This version is without sticker on front cover and without cat# printed on top of back cover. The other version is with sticker on front cover and cat# imprint on top of back cover. 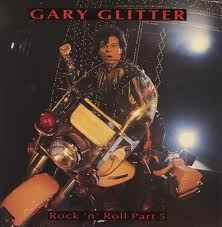 Gary Glitter ! STIFF Records !! Produced by Trevor HORN ! !